Sports fans love to debate. Check any message board or Reddit thread and you’ll see that somewhere, people are having an argument over why their team is better than someone else’s or why Miguel Cabrera is better than Mike Trout (he’s not), or even why their favourite sport is superior to someone else’s, as if there’s some kind of definitive ranking that needs to be picked apart. The reason that shows like Pardon the Interruption and First Take exist is because the formula just works. Even if the organized debate doesn’t always come across as genuine as the conversations you’ll see on Twitter, it’s so easy to put two people in front of a camera and have them discuss the merits of James Harden versus Steph Curry for the MVP. Golf, of course, isn’t immune to this especially in the years since Tiger Woods has failed to live up to the enormous expectations placed before him at every turn. I’ve said before that it seems like Tiger is the only athlete that people just expect to be continually great despite the effects of age and injury, not to mention the mental marathon he’s been running since he was two years old. You still see it now too as it’s obvious that Tiger is still the guy that most people want to see on the course, despite him very clearly not being the same player he once was. The fandom is understandable, but being in the spotlight for the last 37 years has taken its toll. It was easy to avoid conversations around the best player in golf for so long because the answer was just so obvious. It would have been fantastic if Tiger got more consistent competition from Phil Mickelson, Ernie Els, Vijay Singh and others, but it just never really materialized and instead, Tiger’s biggest challenges in major championships came from the likes of Chris DiMarco and Bob May. Even the last time he was really toppled in a major, it came from Y.E. Yang and his bag of hybrids. In the years since Tiger’s run as the most dominant player in the world, which included two separate stints of 264 and 281 weeks at the top of the OWGR, six players have officially held that title: Lee Westwood, Martin Kaymer, Luke Donald, Adam Scott, Tiger (again) and the current leader, Rory McIlroy. Even if you look past the number one spot in the rankings, it’s pretty easy to see that there’s more parity in the game now than at any point during Tiger’s reign. 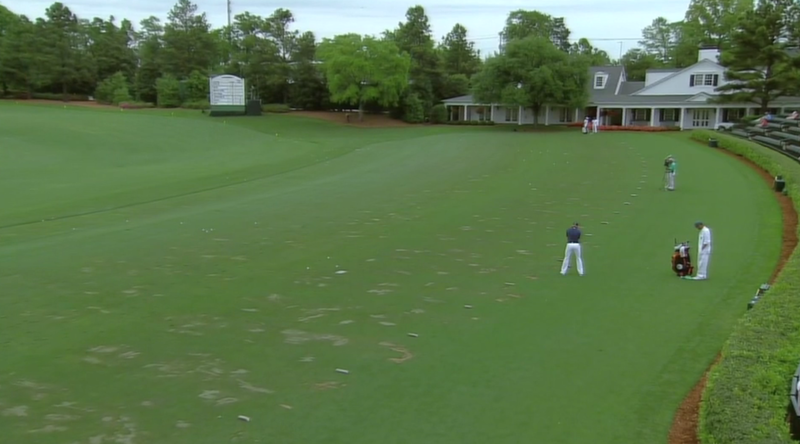 Would anyone have been shocked if Patrick Reed won the Masters last week? No, and he’s the fifteenth ranked player in the world. Gary Woodland? Probably not at the top of anyone’s list to win at Augusta, but he has all the tools to do it despite being ranked 48th in the world. Fifteen years ago, how many of these players would have surprised you if they won the Masters? My guess is that the number is higher then as compared to now. The top-50 in the OWGR on April 2nd, 2000. So, why am I bringing this up? With Jordan Spieth winning the Masters last week, his fourth win in his last eleven worldwide starts and his first major championship victory, the reaction has been swift to apply a label on what this means for not only Spieth, but for the game in general. I even did it in the piece linked above, but what caught my eye and the eyes of many other people, was the cover of Sports Illustrated this week, which features Spieth. You’d find Anthony Kim before finding anyone saying something negative about Spieth that doesn’t involve his hairline, and it makes total sense. He’s young, American, talented and from everything we’ve been told, he’s pretty much the most respectful person on the planet and there’s no reason to believe that he can’t be a massive force in the game for the next twenty years. People are excited and they have every right to be, but the headline on the cover for Alan Shipnuck’s story, “The Spieth Era Begins Now” is a big reach. In fairness, Shipnuck’s piece on Spieth is very, very good and at no point in it does he mention anything about it being the Spieth Era. In a lot of cases, writers don’t pick their headlines, so it’s very possible that an editor read the piece and suggested the headline, designed to catch eyes for obvious reasons. Sports Illustrated needs to sell magazines and a little bit of hyperbole never hurt in that regard, plus it certainly sounds better than “The Era of Parity Continues”. The title in the article linked above, “Jordan Spieth Launches His Star With Record-Setting Masters” is perfect. 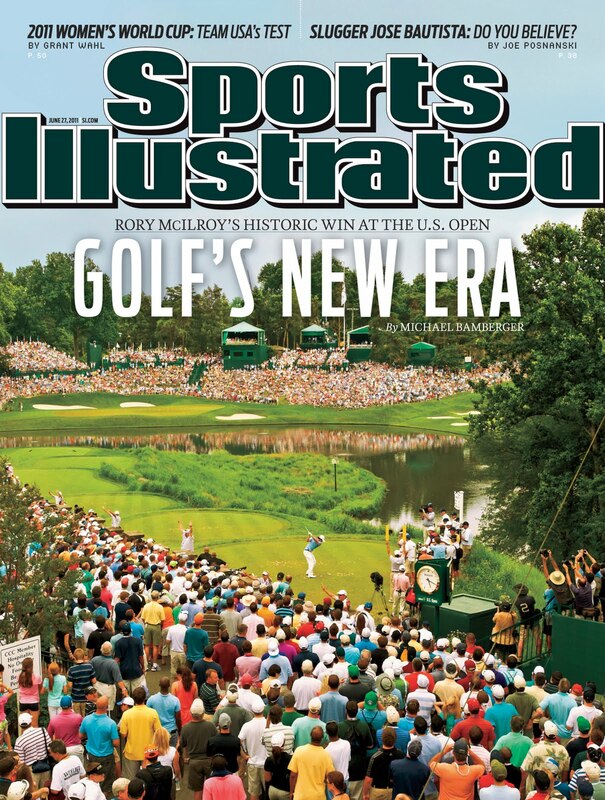 Just four years earlier, a 22-year old McIlroy appeared on the cover of SI after crushing the field at the U.S. Open for his first major win, along with the headline of “Golf’s New Era”. With his win on Sunday, Spieth climbed to the number two spot in the Official World Golf Rankings behind McIlroy, who played horribly for the first 27 holes at Augusta before turning it on and finishing in solo fourth, proving why he is the best player in the world, even after playing nowhere near his capabilities for the first 37% of the tournament. McIlroy’s grip on that number one spot isn’t as tight as Tiger’s was fifteen years ago, and in reality, no one will likely ever have that kind of gap between themselves and the number two, but I’m sure that if McIlroy ends up seeing the cover at some point, he’ll likely wonder what happened to his era because it certainly doesn’t feel like anyone is ready to knock him off of his perch, at least not right now. McIlroy has won two of the last three majors. When did his era end, exactly? In the grand scheme of things, I guess it doesn’t really matter. Spieth doesn’t strike me as the type of person and player that gets too high or too low and I can’t picture this going to his head and causing him to go into a swoon because of it, but it does put an added layer of pressure on a 21-year old kid who only has five wins to his credit, and it helps drive the narratives that will be pushed around Spieth going forward. Winning at the professional level is exceedingly difficult, which is an idea that Tiger made some of us forget for so long because of how dominant he was, and to a certain extent, McIlroy does the same thing as well. It wasn’t that long ago that many people were suggesting, ridiculously I might add, that Spieth needed to figure out how to close before he was labeled as a choker, instead of, you know, a 20-year old who was already one of the best players in the world. Now I wonder what’s going to happen when Spieth starts to struggle because, let’s face it, he’s going to struggle. Everyone does. This is why the idea of labelling something as an era is so foolish, especially when the consensus best player in the world isn’t the one who is getting the label. It feels forced. Look at the six names who climbed to number one in the world recently. All of them, save for Adam Scott I guess, have gone through horrible down moments in the period since they were number one and that’s just in the last five years. Spieth will hit a lull at some point where he’ll miss several cuts in a row, or he might not win for a while. It may not feel like it, but we’re coming up on three years since Keegan Bradley last won a tournament, and while the expectations were never as high around Bradley as Spieth, it shows that just because you win a major and other big tournaments, success is not a guarantee. I hope that when Spieth has that stretch, the conversation turns to how fickle golf can be even at the highest level before we pass the crown to the next young player that comes along and wins a big tournament. There’s a lot of great young players out there who will be winning tournaments for the foreseeable future too, and along with guys like Phil Mickelson and Tiger still appearing to have some game left in the bag, professional golf is in a great place right now. Jordan Spieth is a big part of that future. That’s not a bad label, right?